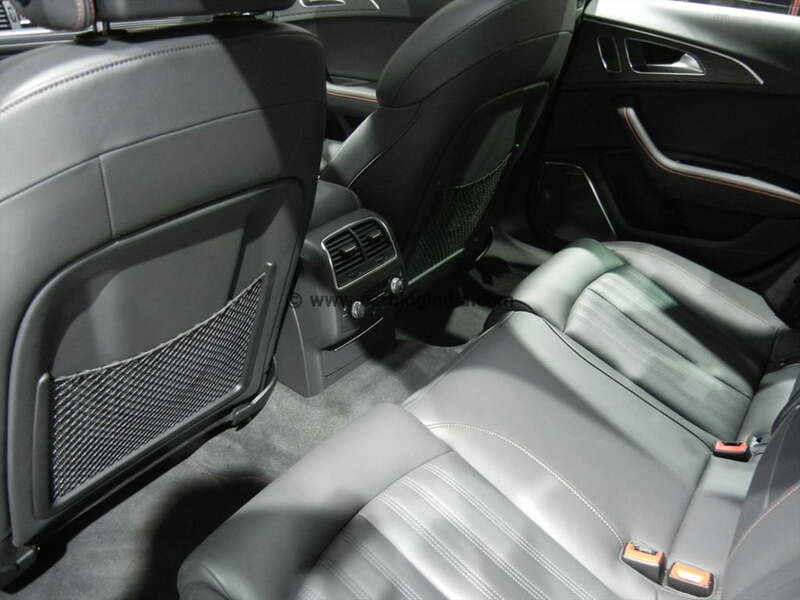 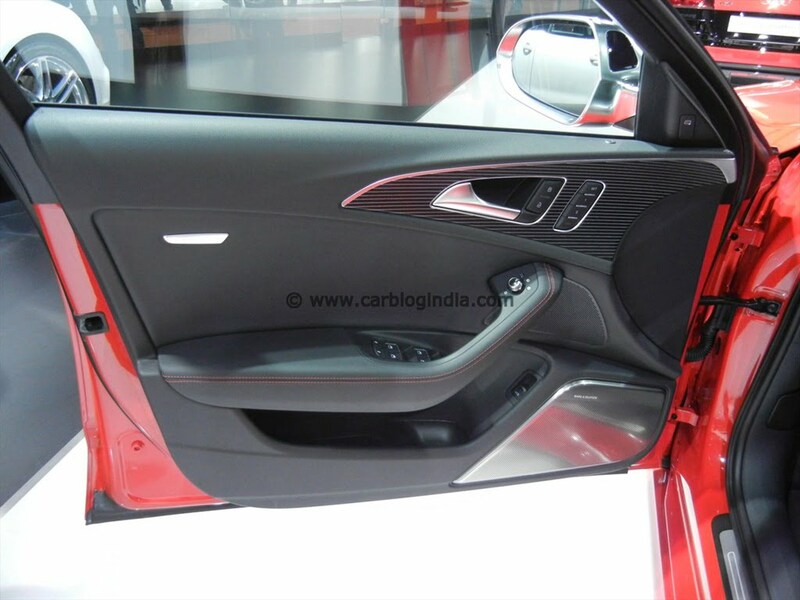 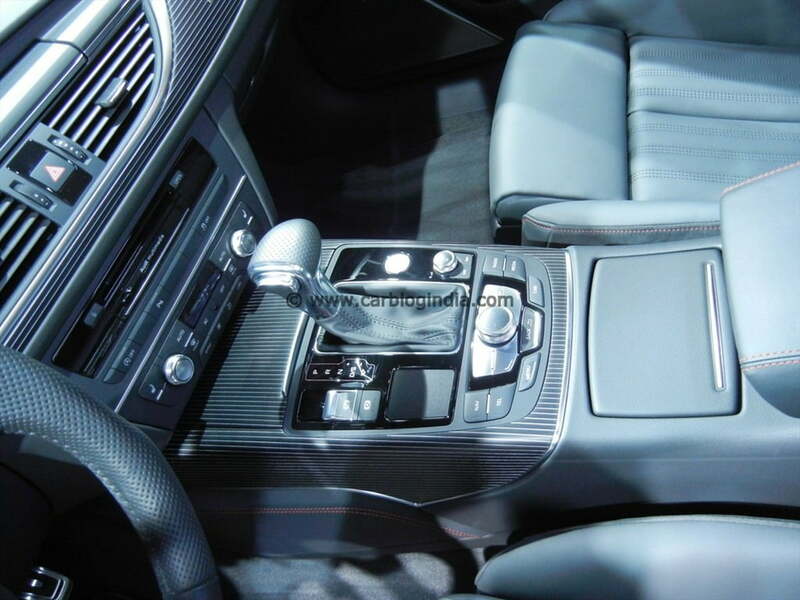 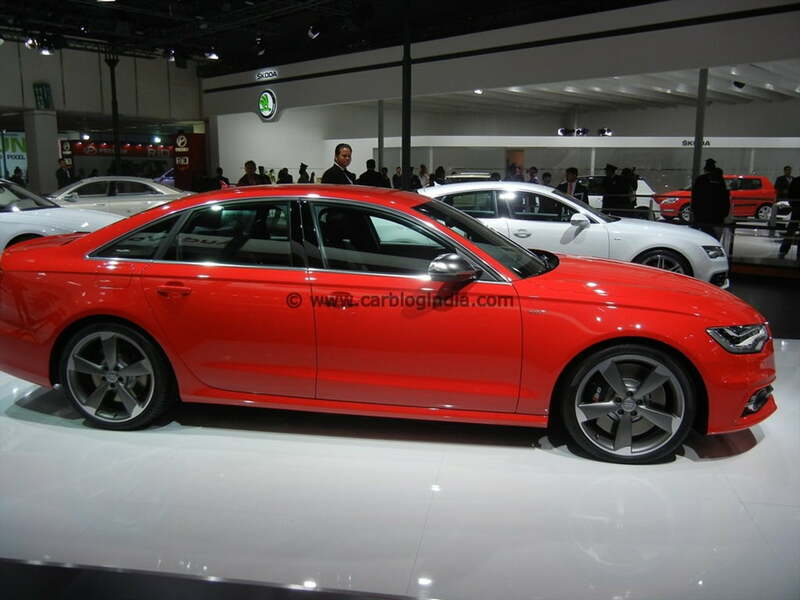 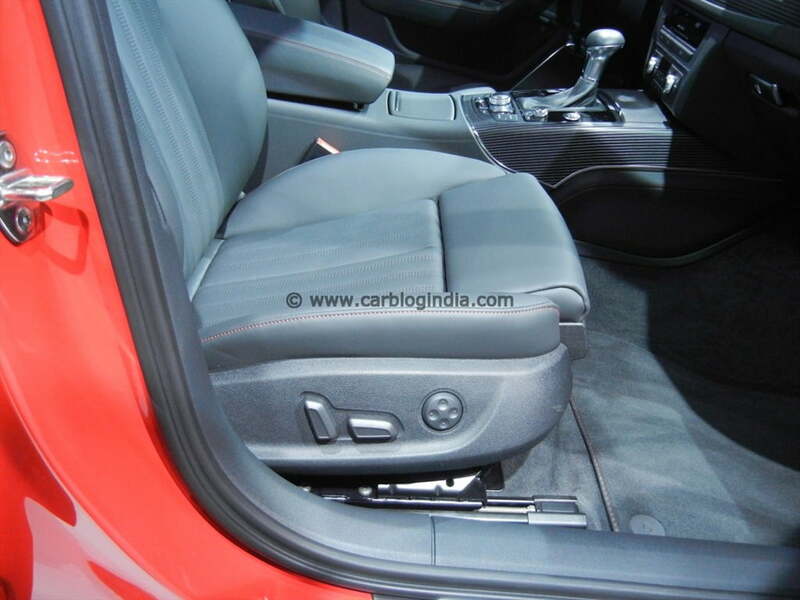 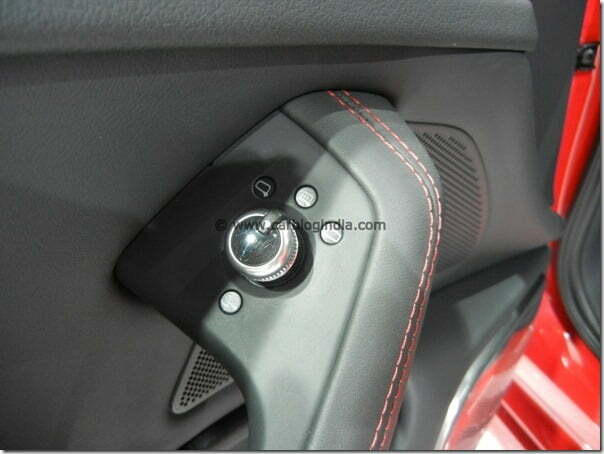 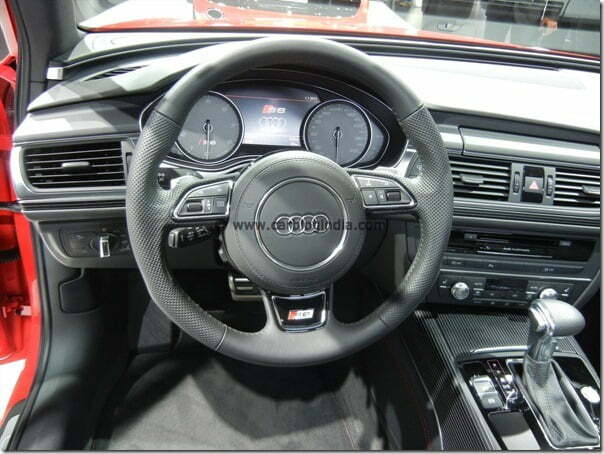 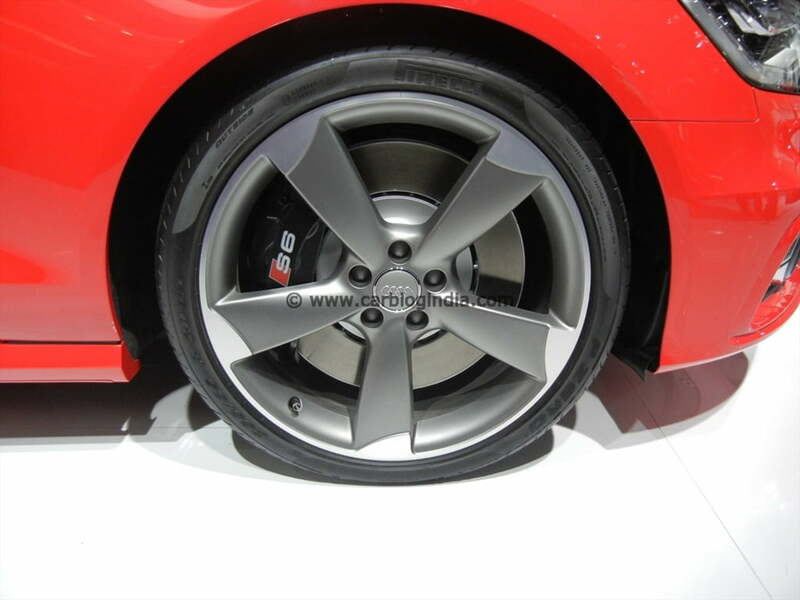 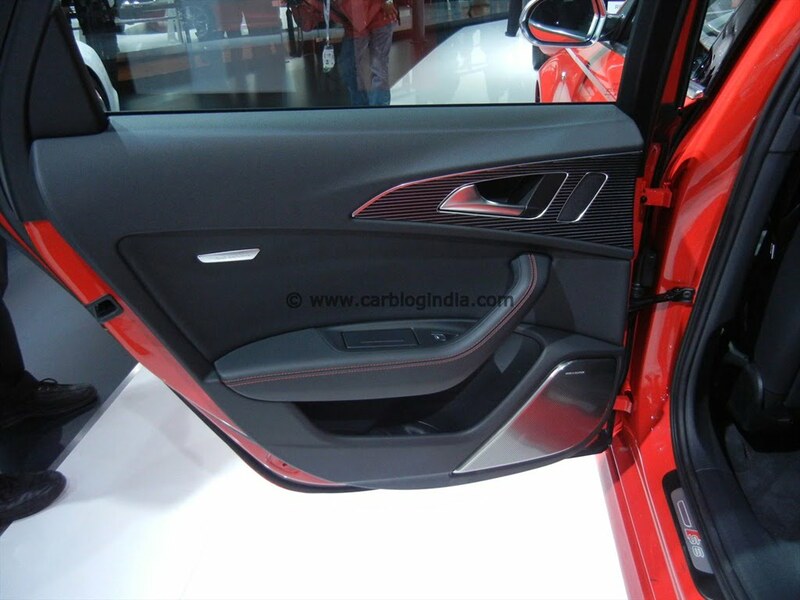 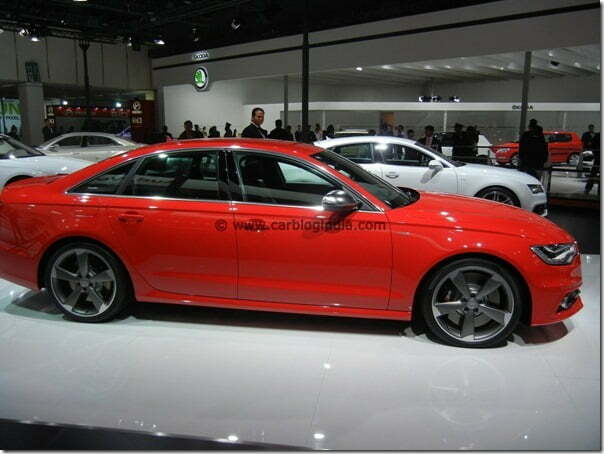 Audi had a very rich booth in terms of products at the 2012 Auto Expo. 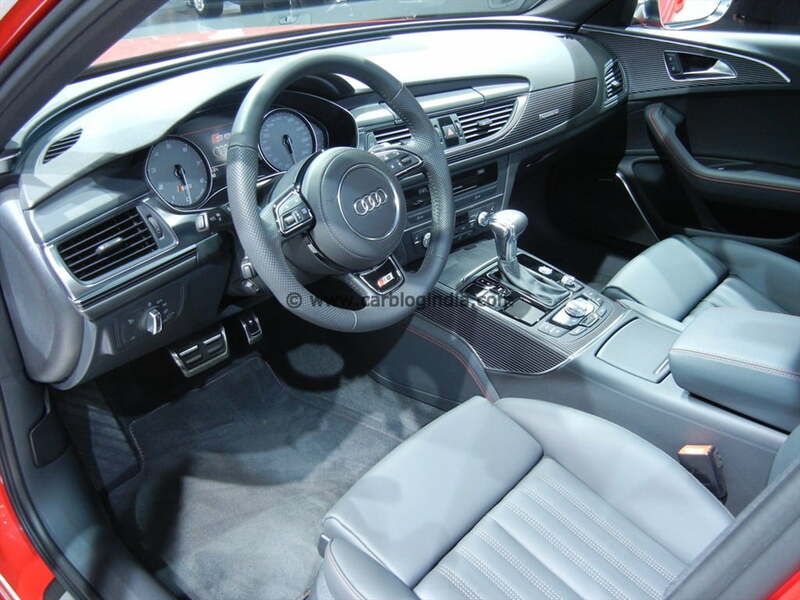 From the latest Audi A3 e-tron to the most powerful SUV Audi Q7 V12, Audi R8 Spyder to Audi Q3, the company showcased every bit of its advancement made since its establishment. 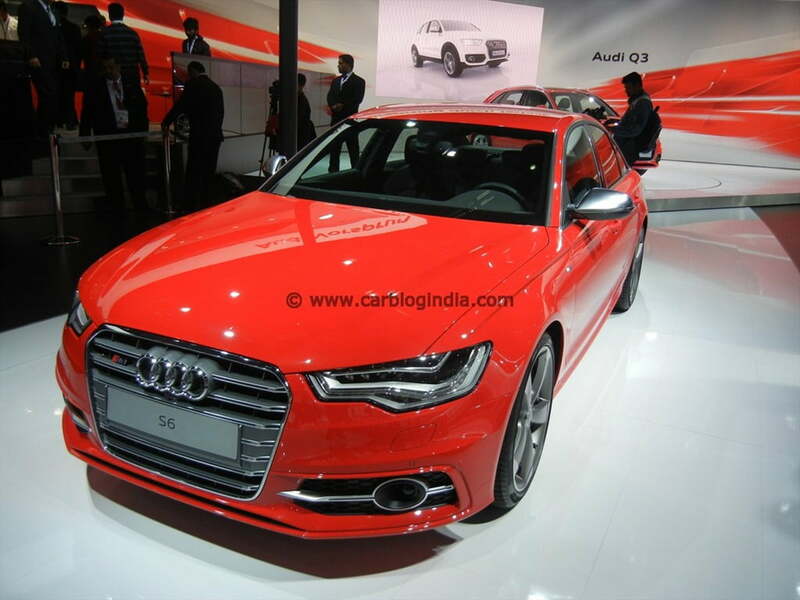 Surely the A3 was the most eye-catchy while the Q3 was most refreshing but there was one more car that had its own charm. 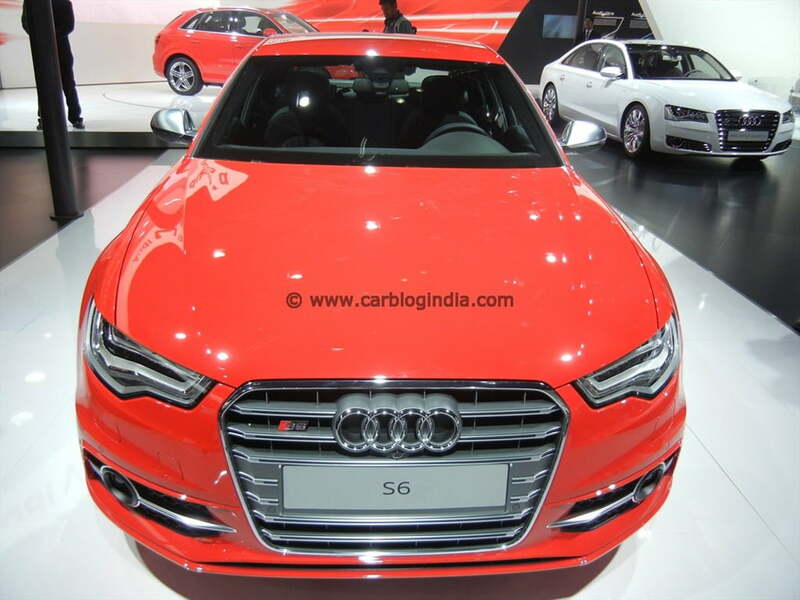 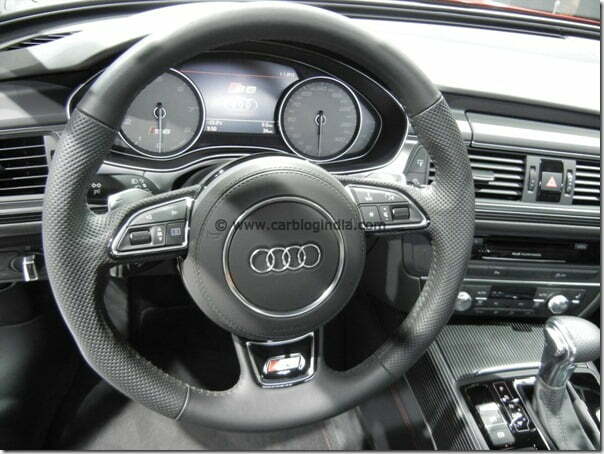 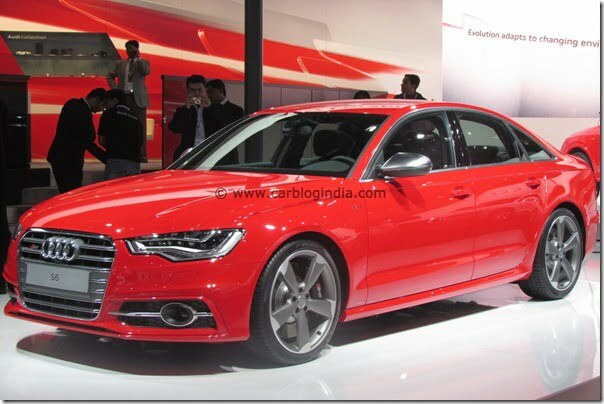 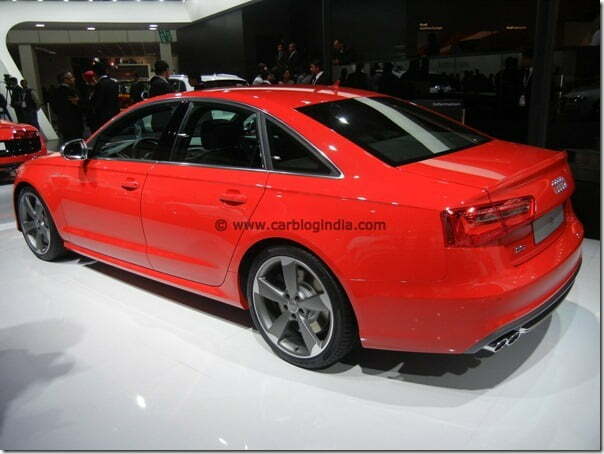 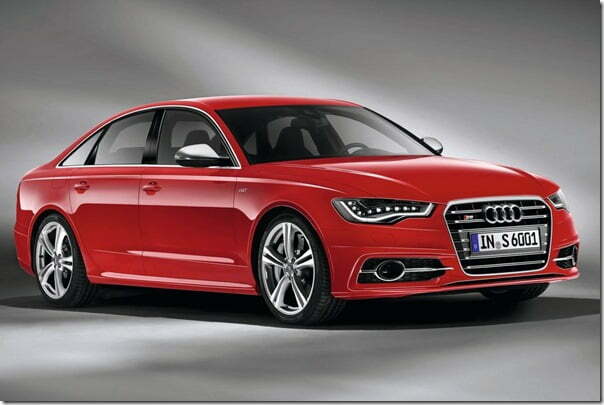 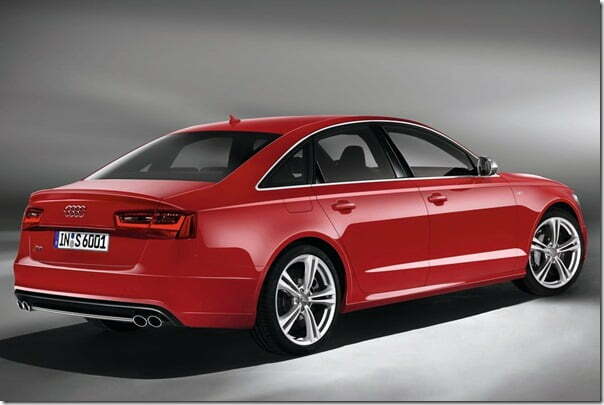 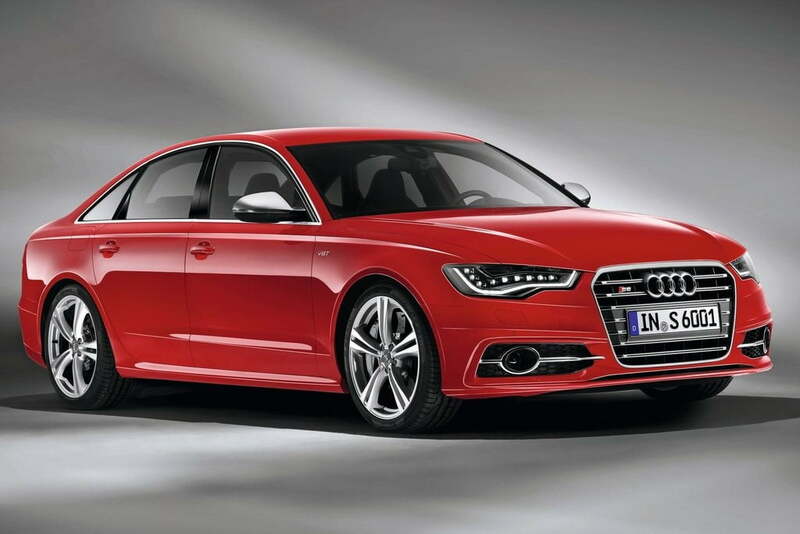 We are talking about the Audi S6 which you can say is a sports version of the Audi A6 sedan. 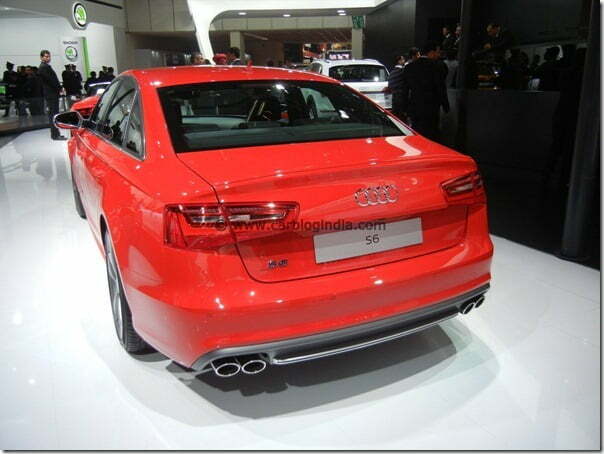 The S6 is a sports car in all sense but also has the essence of an everyday sedan. From all angles it would resemble the A6 but one has to look out for the S character in its name which points out that its no ordinary car and has a very powerful engine under its hood. 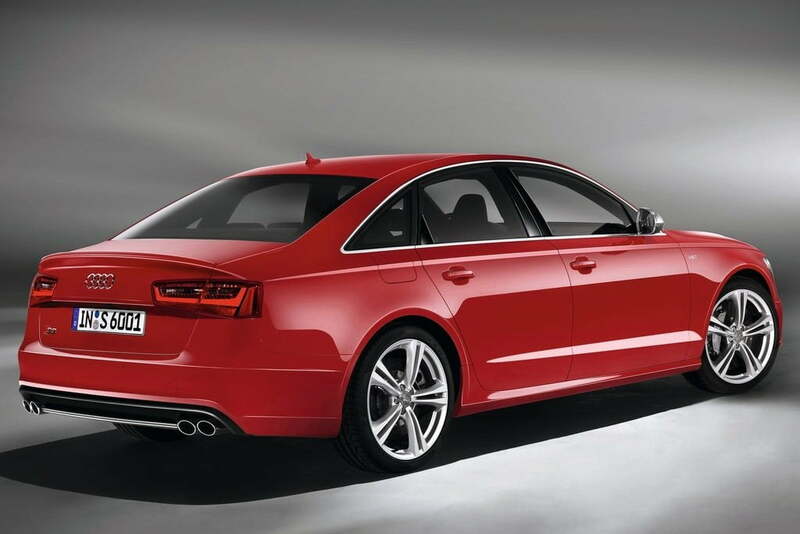 Weighing at 1895 kg, Audi has made it unusually light by incorporating roughly around 20 % of aluminium in its body. 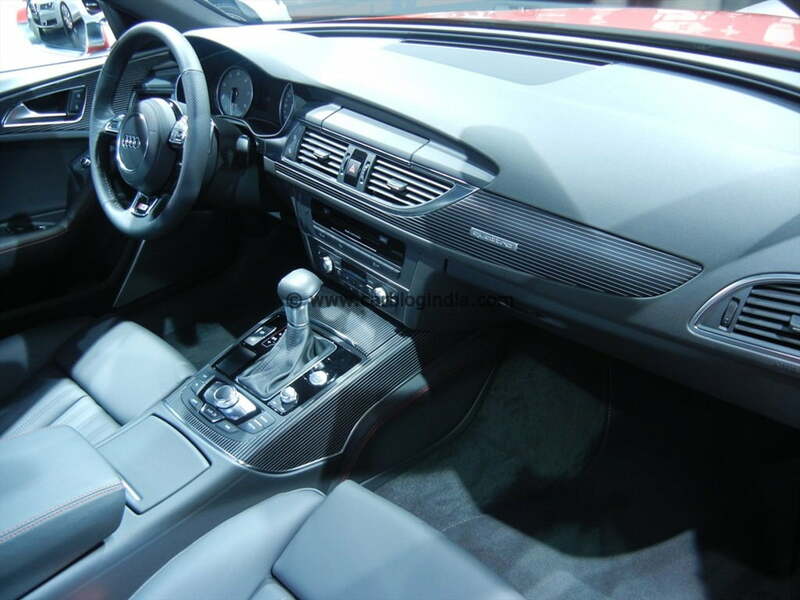 Optional: LED headlights, adaptive light, the ambient lighting package, convenience key, head-up display, the parking system plus with 360° camera, power rear hatch, optionally with sensor control, and climate-controlled deluxe seats with massage function. Being a sports car we cannot skip talking about the beautiful engine under its hood. The car features a 4.0 litre TFSI twin-turbo V8 engine that delivers 420 BHP of max power and 550 Nm of max torque @ 1400 – 5300 RPM. 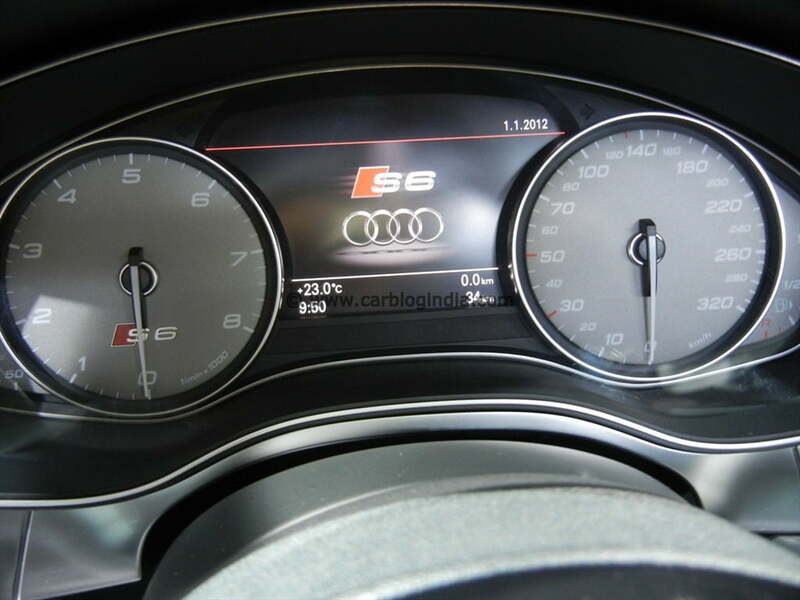 The same accelerates the car from 0-100 km/h in 4.8 seconds and offers an electronically governed top speed of 250 km/h.